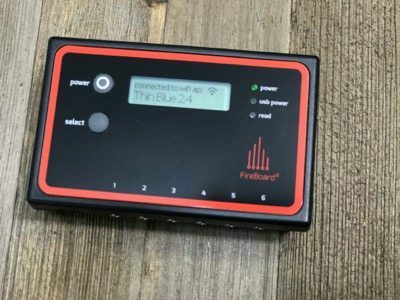 The Fireboard is a cloud connected bluetooth and wifi thermometer with complete onboard data-logging. 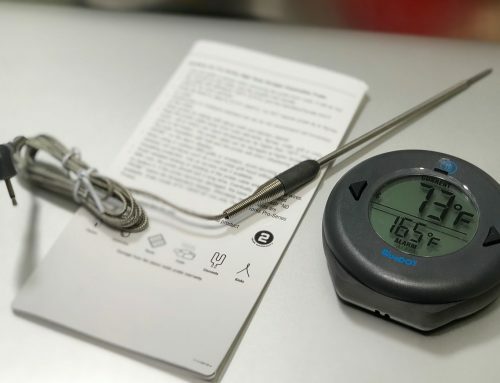 With 6 channels available, rechargeable battery and waterproof probes, you can be ready to cook accurately in any situation. I have been so impressed with this small orange and black box from the moment it arrived. 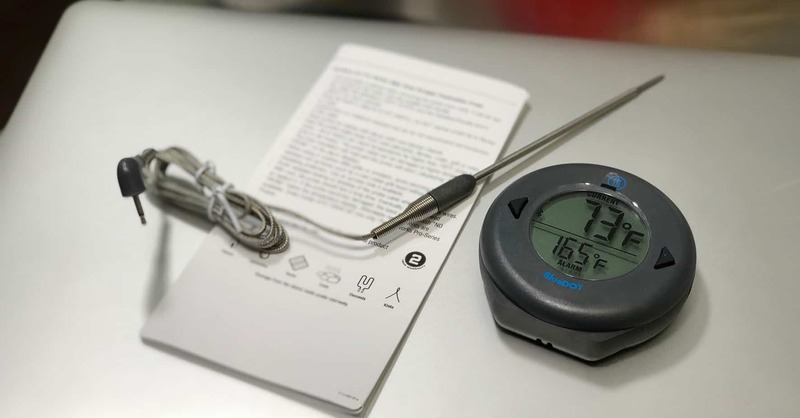 From the packaging to turning the thermometer on and actually using it to log a cook, it is obvious that lots of thought and design went into the building of this product. 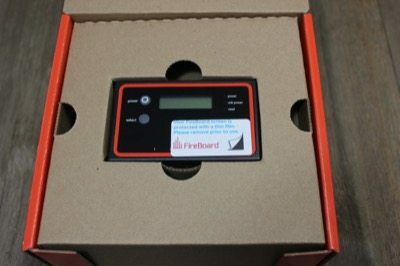 To make it more simple to understand, this is a wireless (bluetooth and wi-fi) thermometer with capability for 6 independent probes, rechargeable battery that lasts around 24 hours. By connecting to the Fireboard app on your smart phone or device, it allows you to monitor the temperature(s) of your probes from anywhere in the world. 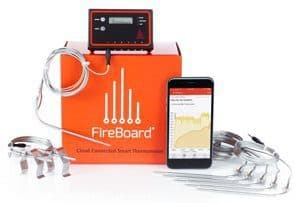 As if that's not enough, the Fireboard logs all of your cooks and graphs them so you can see the trends and spikes of your cooking sessions. 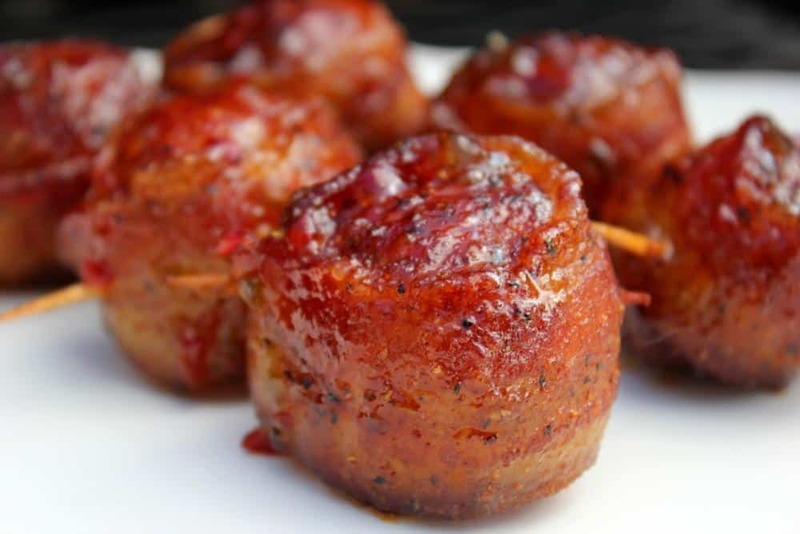 These are saved onboard and on the Fireboard servers so you can revisit past cooking sessions at any time. Via the app, you can see multiple alerts to notify you of temperature milestones that have been reached. 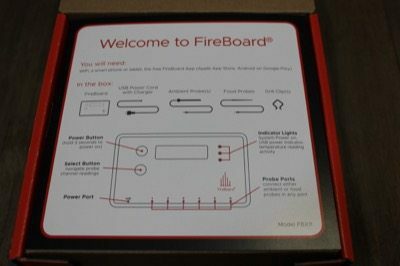 When the Fireboard first arrived, I was so impressed with the packaging. That's where first impressions are made you know. Open the box and you are immediately met with clear, easy to understand instructions for what to do next. Very well packaged so it's protected during shipment. 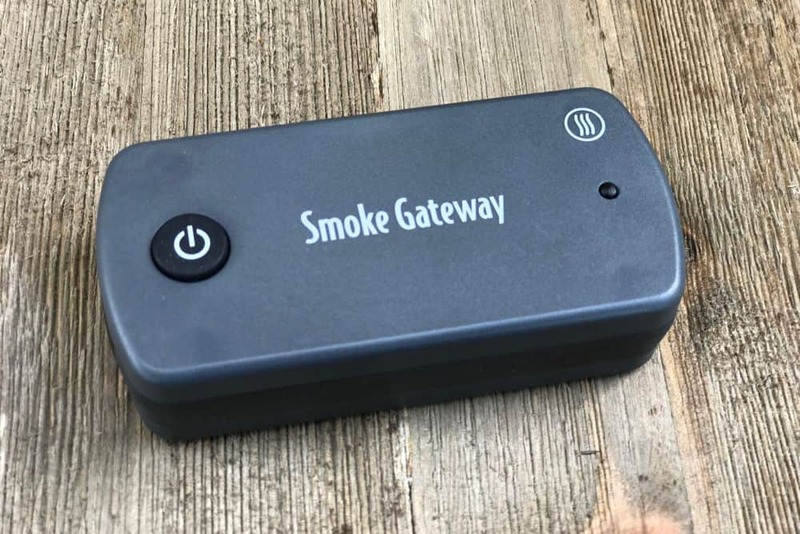 *You can also purchase the “Extreme BBQ Edition” which includes (2) ambient probe and (6) food probes as well as (2) grate clips for those who want the whole package and be able to use all (6) channels right out of the box. If you've heard enough and wanna just get the durn thing headed your way, you can use the link below to to that. For the rest of you, let's continue.. 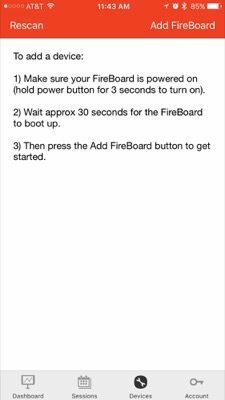 I opened the app on my smart phone and it directed me to power on the Fireboard. I was happy to oblige! I held the button for 3 seconds and released. 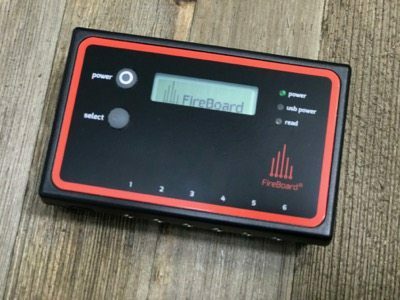 The green power light came on and after a few more seconds, “Fireboard” came on the screen. I already had the app connected to my Wifi..
After adding the device to the App, I changed the name to something more relevant using the “Change Device Name” setting. this “Devices” tab is also where you can manage/setup Wifi. I was finished playing with the app for the moment and wanted to test the waterproof claims of the probes.. something you don't see on probes these days. I have ruined my share of probes trying to wash them and no matter how careful you are, moisture always tends to find a way in and they are toast. If you look closely you can see RTF or some type of sealant where the wire connects to the probe. Encouraging! 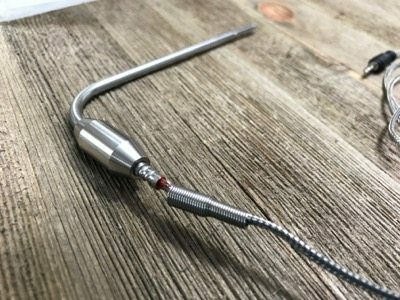 With a pitcher of cold tap water and a food probe plugged into he Fireboard, I dropped the probe down into the water and left it there for about 20 minutes. 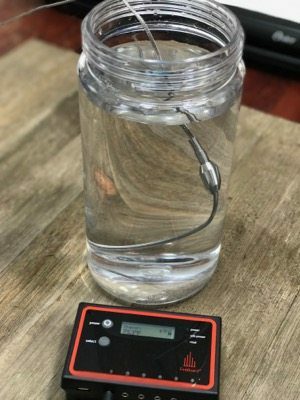 No bubbles or ingress of water and the probe read the temperature of the water just fine throughout the test. 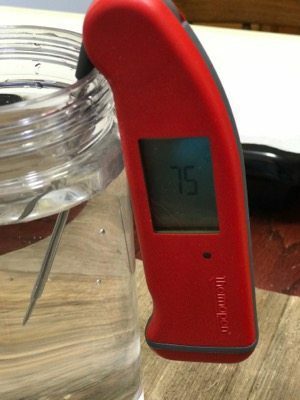 To check the accuracy of the probe, I dropped my Thermapen probe into the water.. on the money! 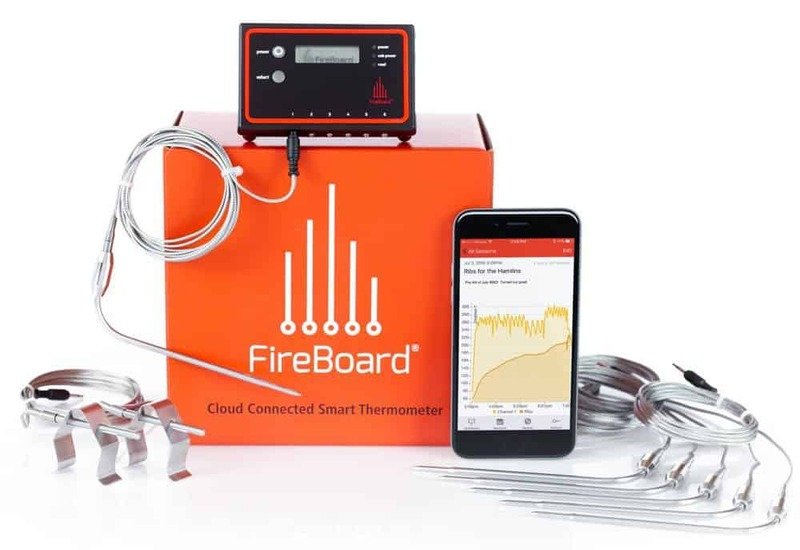 I have used this Fireboard on multiple cooking sessions now and double checked all temperatures with the Thermapen. 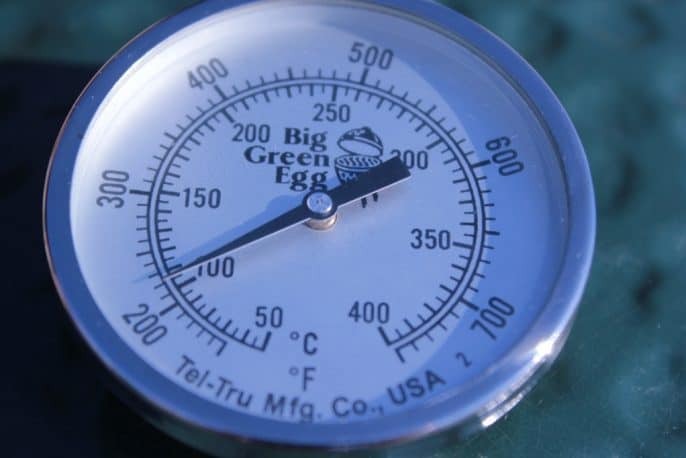 It gets to near temperature within seconds but then requires another 20 seconds or so to level out. This is quite normal for leave-in probe thermometers. 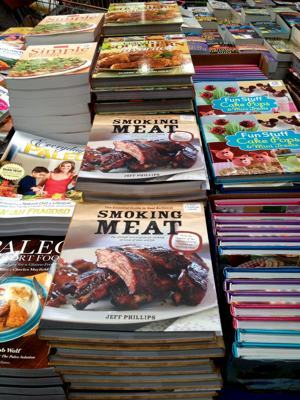 They are not intended for instant reading. 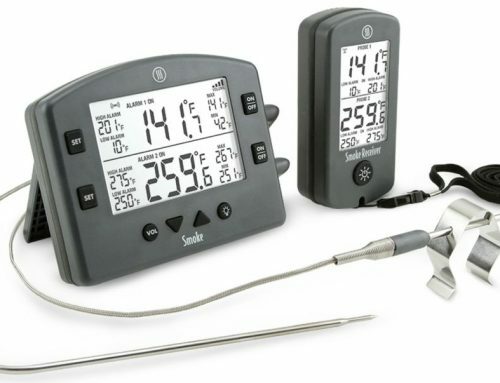 The idea is to insert the probe(s) into the meat before or during the cook and allow it to monitor the temperature throughout. 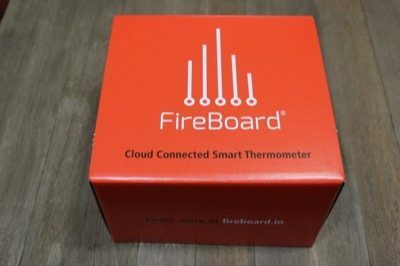 This is a cloud connected thermometer that connect to Wifi and/or bluetooth and I wanted to test the range. It does need to be noted that the range is going to fluctuate depending on the strength of your wifi signal. It was able to stay connected to my wifi up to 400 feet and beyond. 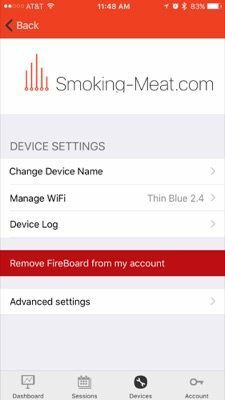 Bluetooth had a range of about 100 feet and that was with the smartphone inside and the Fireboard outside at 85- 100 feet away where my smokers are located. Pretty impressive by any standard. 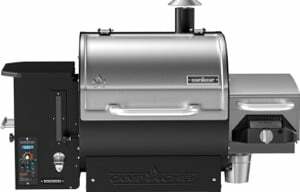 I am very impressed by this unit from the packaging and design to the instructions and setup, build quality and how well it works. 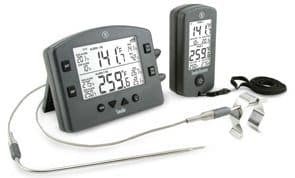 Being this one single unit can replace (3) dual probe wireless thermometers with it's 6 channels, makes it well worth the price. 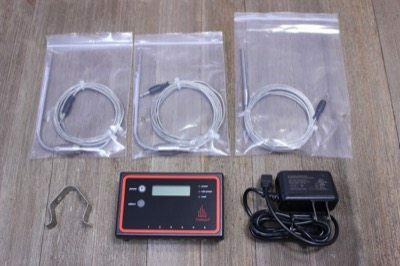 Add in the waterproof probes, bluetooth + Wifi connection and 24 hour battery life between charges and you have yourself a very worthy product. 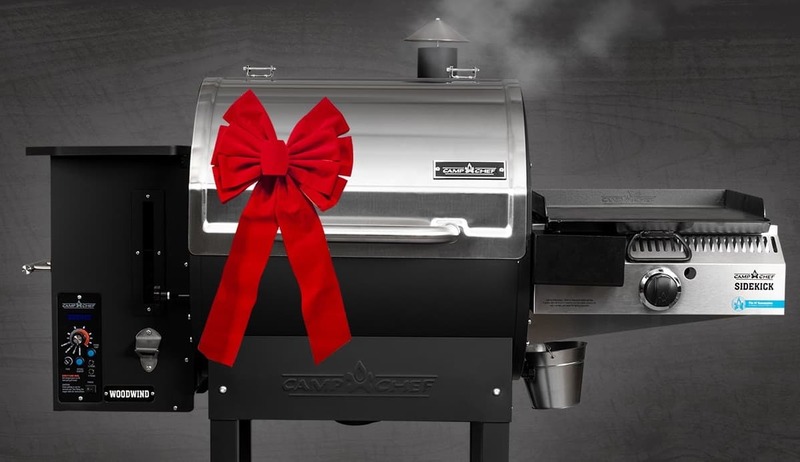 It is obvious that these guys have worked hard, done their homework to come up with a product that is extremely useful to the smoking meat/grilling community. 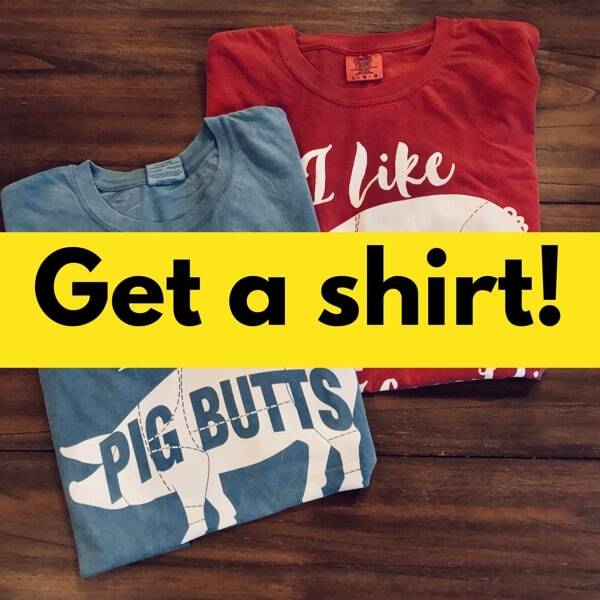 Get one of these on order today and you'll be glad you did! If you have one of these and would like to add some comments below, feel free. 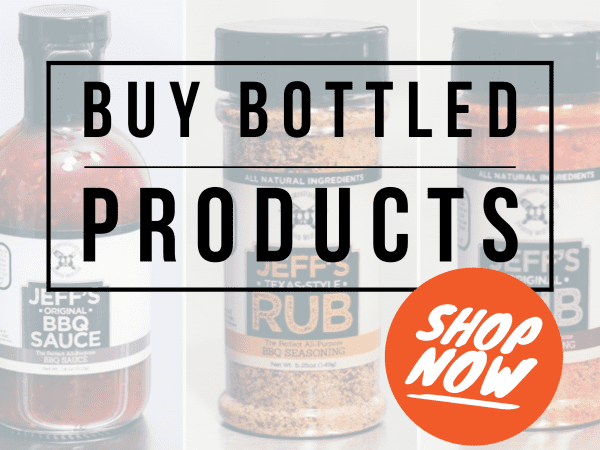 I will add more information as I use this product. I’ve had mine for about 6 months or a dozen smokes now and LOVE it! Expensive, but if you are a geek like me, you’ll love it. 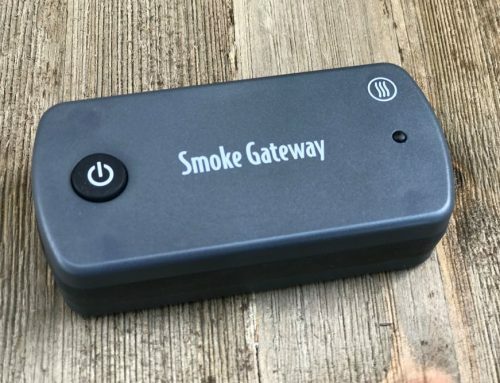 Saves the data from all of your smokes. You can download it to Excel. I can run to the store and monitor my temps.